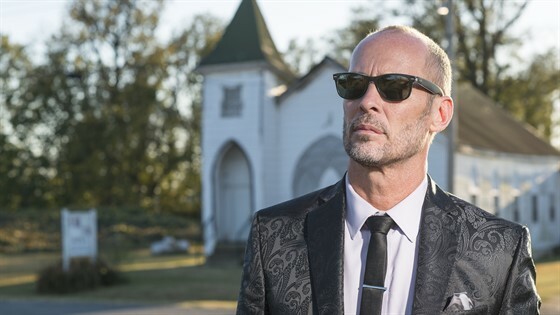 Paul Thorn has created an innovative and impressive career, pleasing crowds with his muscular brand of roots music - bluesy, rocking and thoroughly Southern American, yet also speaking universal truths. Among those who value originality, inspiration, eccentricity and character - as well as talent that hovers somewhere on the outskirts of genius, the story of Paul Thorn is already familiar. Raised in Tupelo, Mississippi, among the same spirits (and some of the actual people) who nurtured the young Elvis generations before, Paul Thorn has rambled down back roads and jumped out of airplanes, worked for years in a furniture factory, battled four-time world champion boxer Roberto Duran on national television, signed with and been dropped by a major label, performed on stages with Bonnie Raitt, Mark Knopfler, Sting, and John Prine among many others, and made some of the most emotionally restless yet fully accessible music of our time. He’s also appeared on major television shows such as Late Night with Conan O’Brien and Jimmy Kimmel Live, been the subject of numerous National Public Radio (NPR) features and charted multiple times on the Billboard Top 100 and Americana Radio Charts. In 2018, Paul released an album titled Don’t Let the Devil Ride, which he describes as “the culmination of my whole life in music, coming back to my roots.” It marks his first time recording gospel music - featuring guests such as the Blind Boys of Alabama, the McCrary Sisters, and Preservation Hall Horns - and his creation of a body of strikingly original songs that address the foibles of human relationships without necessarily favoring the sacred over the profane. Grammy-winning, Texas native, Bonnie Bishop landed her first publishing deal after six years on the road. After moving to Nashville in 2008, Bishop honed her skills as a songwriter under the tutelage of writers like Mike Reid, Lee Roy Parnell, Jimmy Wallace, and Al Anderson. In 2012, her songwriting dream came true when another Bonnie - Bonnie Raitt - recorded a song she and Anderson wrote (“Not Cause I Wanted To”) on her Slipstream album and won Bishop her first Grammy. Bishop delivered her sixth album, Ain't Who I Was, in 2016 (Thirty Tigers/Plan BB). Produced by Dave Cobb (Chris Stapleton, Sturgill Simpson, Jason Isbell), featuring 10 new recordings, including six songs co-written by Bishop. Her forthcoming full band project, The Walk (produced by Steve Jordan), is set to release in the Fall of 2019. When not on the road, Bishop works with Songwriting With Soldiers, a non-profit organization that pairs professional songwriters with veterans and active duty military and uses collaborative songwriting to build creativity, connections, and strengths.